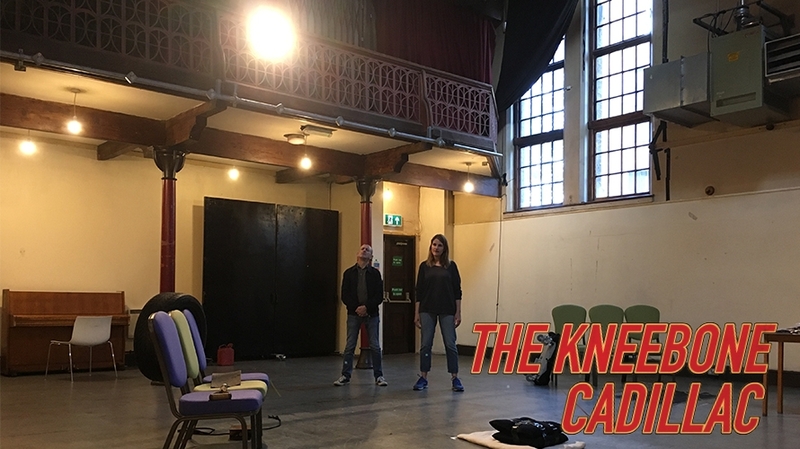 It is week 3 of The Kneebone Cadillac rehearsals at the Union Chapel in London and the company are gathering to begin. 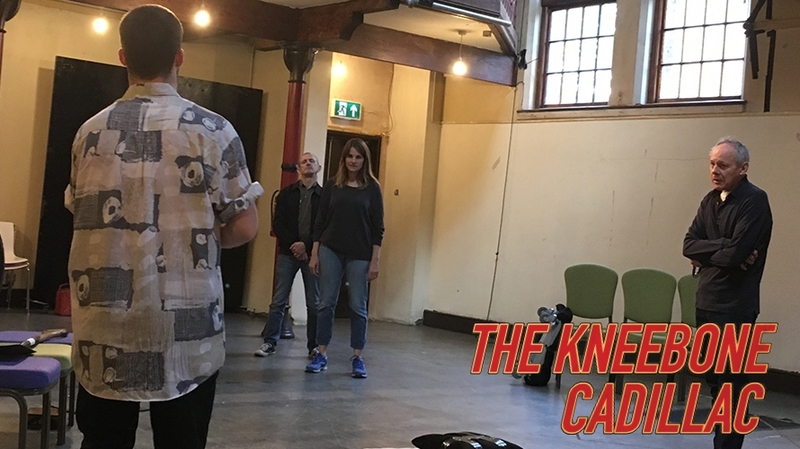 As rewrites come through daily, we work methodically and carefully, our director Simon Stokes, and cast Hannah, Emily, Glyn, Callum, Shaun and Joe, slowly blocking, imagining, experimenting, trialling, running, rerunning. Fragments of scenes piecing together to form something whole; something, as yet, unknown. Meanwhile, our brilliant and innovative team of creatives help gradually define the style of the piece and find a shared language for this hilarious Cornish movie-world of scrapyard cowboys and raceway queens. 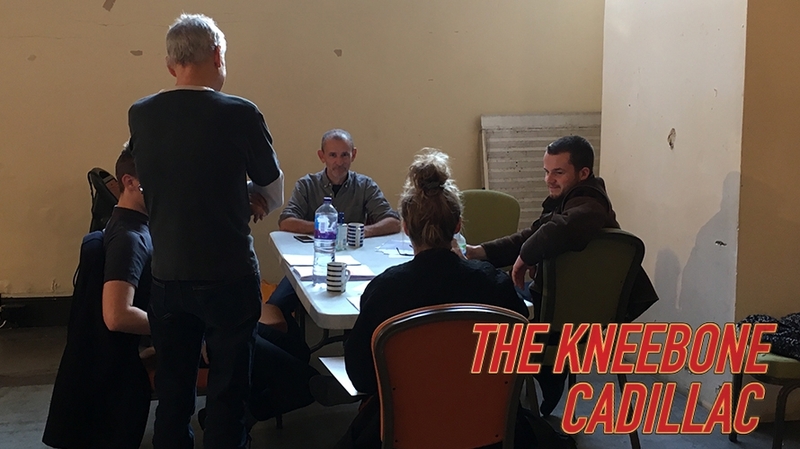 As the play itself searches for identity amongst conversation and action, images, film-clips, photographs and memories, so do our characters, amongst the mountains of debris, legend and debt at Kneebone Scrap Metal and Haulage. One more week until we return to Plymouth and we’re looking forward to coming back.